Paris is a city of compact, small villages. Her arrondissements spiral out in a clockwise direction from the most important central districts, to both her lively and sleepier suburbs. Originally twelve in number, in the late 19th century Napoleon III extended these to include the twenty that are present today. Understanding the merits of each district is important for anyone planning a trip to Paris. The significance of the 1st arrondissement on Paris’s topography cannot be underestimated. Home to many quintessential Parisian sights – Pont des Art, Palais Royale, The Tuileries, Rue de Rivoli and Musee de Louvre – this is the picture postcard version of the city and a must-see for all visitors. The historic 1st arrondissement is one of the oldest in the city, with parts of the Right Bank dating back to the early Middle Ages. 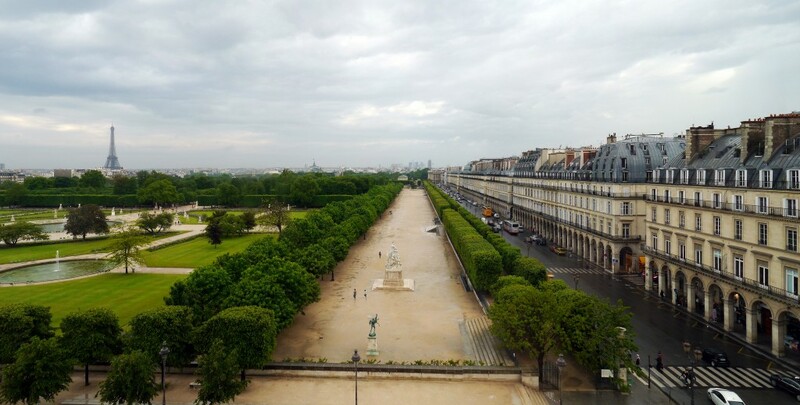 The Palais Royale is a stunning example of 17th century architecture and the garden offers a moment of respite and tranquility in this tourist-laden part of the city. 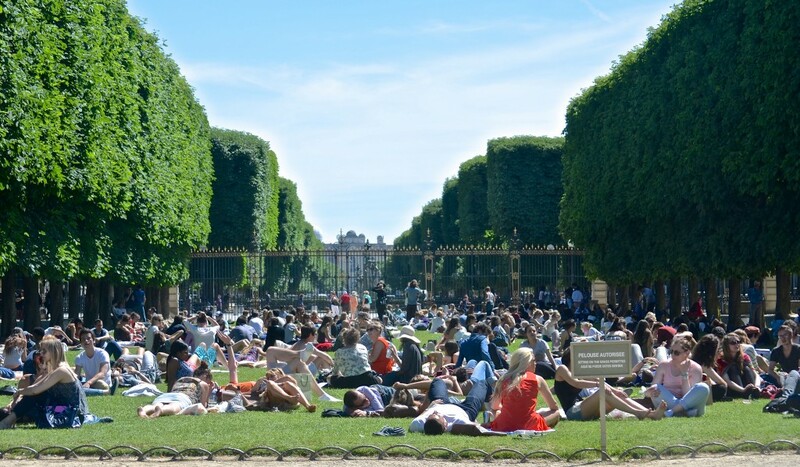 The Tuileries are public gardens that lie at the heart of the city, flanking the Musee de Louvre. They are home to statues that mirror the Gaelic pomp in their gestures, as well as fine Renaissance architecture in the park detailing, and a plethora of pavement-side cafes. Rue de Rivoli, an iconic French boulevard – originally laid by Napoleon Bonaparte to run along the northern wing of the Louvre – runs through the heart of the 1st arrondissement. This historic street marks the transition the city made between historic monuments, regal squares and the move to modern town planning. Today it is home to high-end fashion boutiques and carries the name of Napoleon’s early victory against the Belgians at the battle of Rivoli. Colette is an 8,000 square feet concept store. Set over three floors: the shop, exhibition space and bookstore attract fashionistas from across the globe. The 2nd arrondissement is located on the Right Bank of the River Seine and is the city’s smallest. But what it lacks in size it certainly makes up for in pomp. Home to the Paris Opera and most of the surviving 19th-century commercial arcades – most poignantly, Passages des Panoramas, whose original purpose was to bring the well-heeled off the dark, muddy pavements before the advent of gas street lighting – the 2nd arrondissement retains a certain swagger. The district is also home to the textile industry, so a visit early morning is also recommended if you are interested in seeing this famous Paris industry being played out on the streets. The Marais is likened by many to Manhattan’s glitzy SoHo, but still contains enough nuances to maintain a uniquely Parisian air. With a trove of high-fashion boutiques, a burgeoning boutique hotel scene and a bevy of art galleries: the Marais has a host of attractions. The area takes its name from its humble beginnings – ‘Swampland’ – and was transformed into the Kensington of Paris when the area was originally drained and rose to prominence. Some of the tall, chic townhouses from the 17th-century are still prominent, as are the warren of streets that characterise the area. In the 19th century the area became a nucleus for the rising Parisian Jewish populous – although their influence is fading on the area, there are still shop fronts with Hebrew signage and a couple of intimate Jewish museums. The Marais also offers some of the most innovative food options in Paris and, including and north of the wonderful Marché des Enfants Rouges, the small streets that fall between Place de la République are filled with intriguing food options. The 5th arrondissement is marked by its contrasts. Located on the left bank, the area is commonly referred to as the ‘Latin Quarter’. This name derives from the language originally spoken at the Sorbonne, Paris’s most prestigious university, whose scholars still fill the tiny streets that surround this Parisian institution. 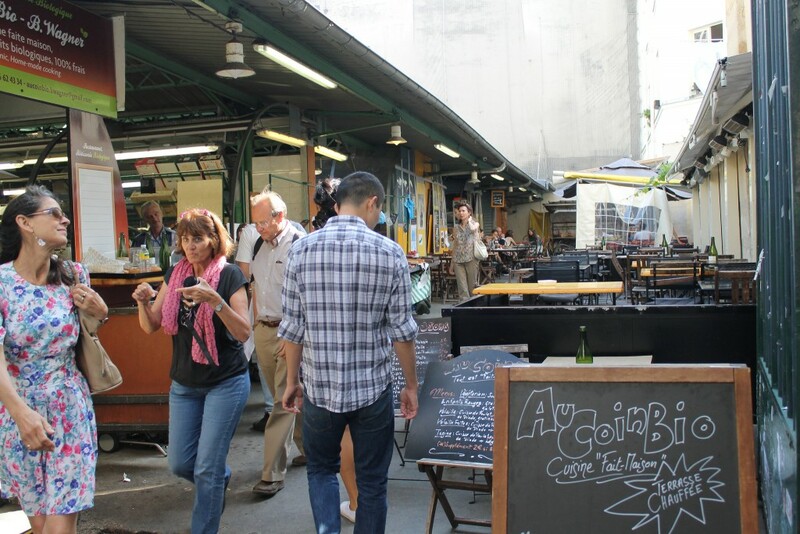 The Rue Mouffetard has a wonderful market, an assortment of boutique hotels and lots of old Parisian style. In addition, the 5th is also the home of the Pantheon, a grand, neo-Classical church, and the Jardin des Plantes, a grand botanical garden containing over 10,000 species. With rapid gentrification, many of the students are moving to the cheaper 13th arrondissement. Saint-Germain des Prés is perhaps the most iconic neighbourhood in Paris. This is Parisian bourgeois at its most quintessential. Genteel apartment blocks are lined with contemporary art galleries, patisseries, bakeries, antique shops, chattering cafes and bourgeois restaurants. The area still retains much of its swagger from its heyday in the fifties, when live jazz filtered out onto the boulevard and intellectuals met at the famous Cafe de Flore to discuss philosophy. The 7th arrondissement fits snugly into a pocket of the Left Bank, on the bend of the River Seine. It is home to some of Paris’s most famous attractions – the Eiffel Tower, the Hotel des Invalides, Musse d’Orsay and Musee Rodin – and has been the nucleus of Parisian nobility since the 17th-century. Centrally located, the arrondissement encompasses the historically aristocratic Fauberg Saint-Germain neighbourhood, the French National Assembly, and several foreign diplomatic embassies. The 8th arrondissement of Paris is centered around the prestigious Champs-Elysees, probably the most famous boulevard in the world, which runs from Place de la Concorde to the Arc de Triomphe. 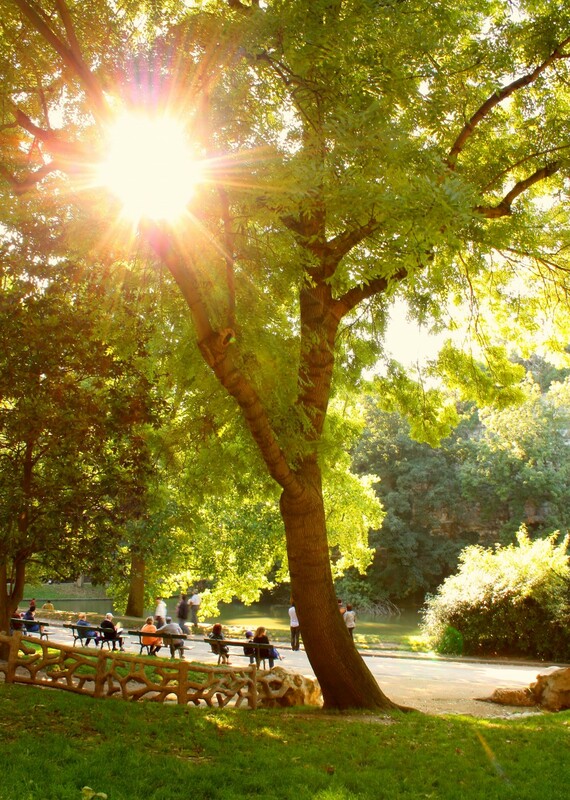 The enchanting Monceau Park and Medeleine church are other key attractions in the neighbourhood. To the south of The Champs-Elysees is the imperious Grand Palais – an historic site, exhibition hall and museum – and the Petit Palais, an art museum that houses the City of Paris Museum of Fine Arts. The Elysee, the official residence of the President of the French Republic since 1848, lies to the north of the grand boulevard. The 9th arrondissement is one of contrasts. 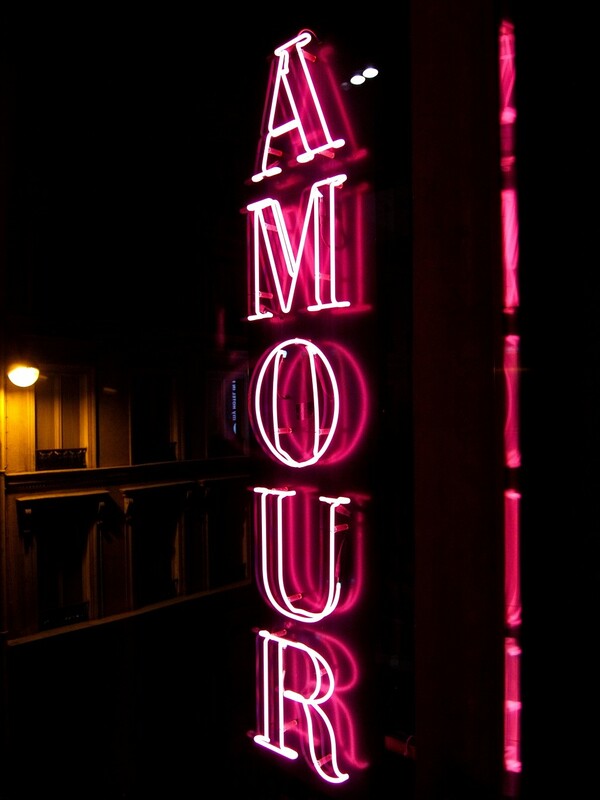 To the south lie the prestigious boulevards and to the north is the famous Pigalle area – Paris’s red light district. 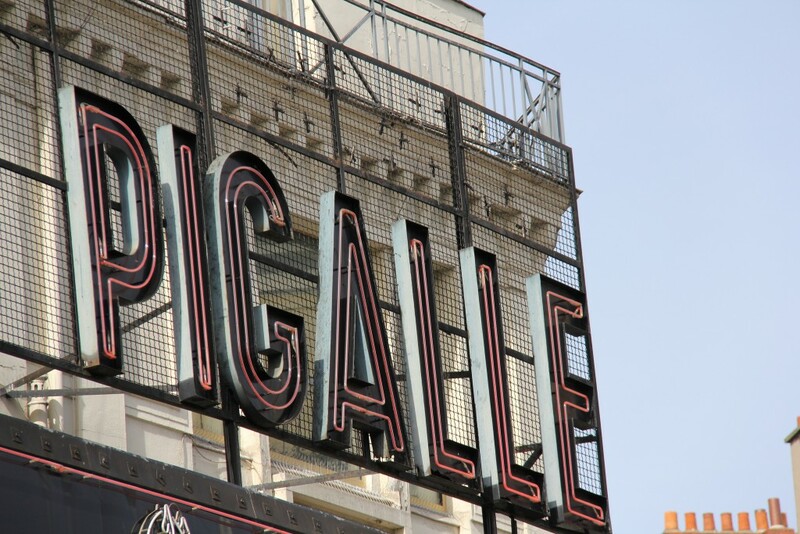 In recent years, this area has undergone something of a transformation, with young boutiques and a cafe culture giving the area just south of Pigalle a hip new moniker – ‘SoPi’ (South Pigalle). The Opera Garnier, Galeries Lafayette and Sainte-Trinite church are other well-known landmarks in the area. A former brothel that has been transformed into a boutique hotel in the shabby-chic neighbourhood known as ‘SoPi’. Each of the 20 rooms are unique and decorated around the theme of eroticism. The late-night brasserie is fantastic for people watching and, in the day, the large terrace and conservatory provide tranquil respite from the streets of Paris. The 10th arrondissement is home to Gare du Nord, Paris’s central station. One must be careful here with belongings and especially wary of people surreptitiously bumping into you on the long escalators. 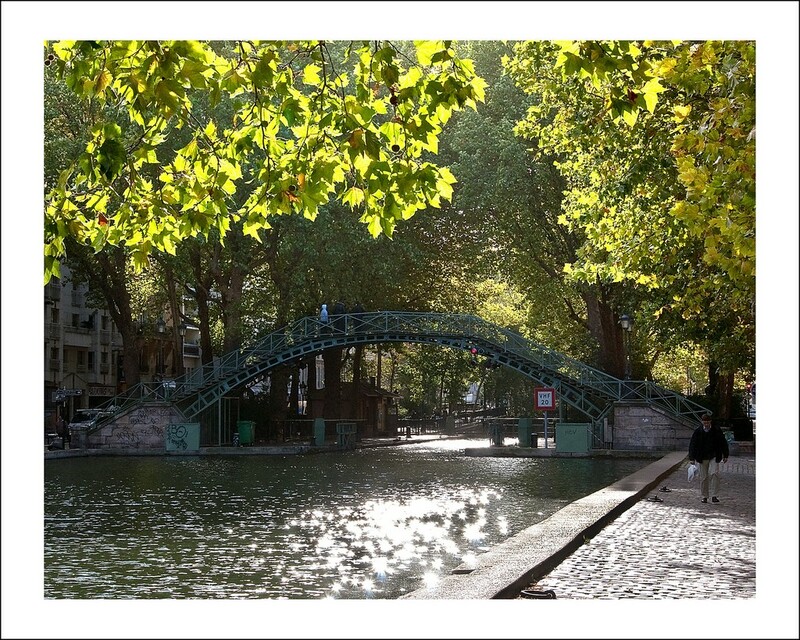 However, not far from the increasingly shabby station lies Canal Saint-Martin. This is where the youth of Paris congregate in the summer and, following Chez Prune‘s lead – shabby-chic new bars and restaurants flank either side of the pretty canal. There are also petanque pitches and pretty cycle paths for those that want to follow the 19th century waterway north. Here you will find the canal widens into Canal de l’Ourcq, an area land-marked by 1970s tower-blocks, two art house cinemas and an area, in summer, which fills with water-sport enthusiasts. The 11th arrondissement is famed for the Oberkampf district, a strip of nightlife in an otherwise reasonably sedate city. Students and artists have moved into this cosmopolitan area and studios are hidden in courtyards behind cheap grocers and discount stores. It has a young, edgy vibe and is a good starting point for those wishing to discover Paris at its most youthful and forward-thinking. 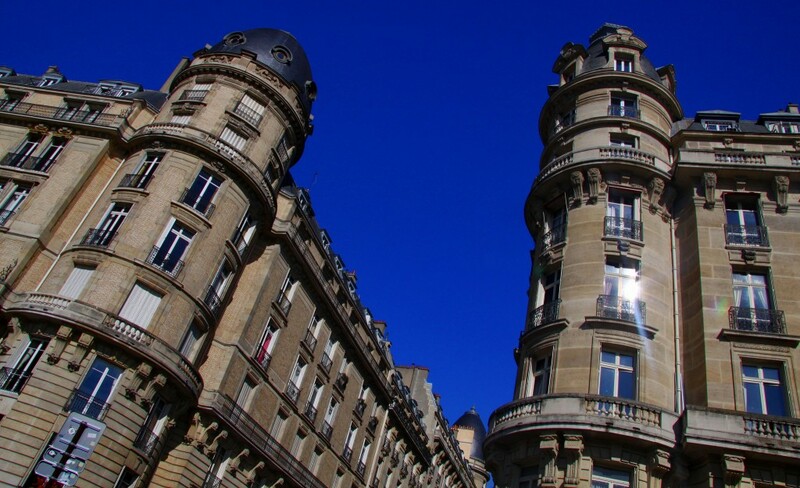 The 12th arrondissement is centred around one of Paris’s most iconic landmarks – the Bastille. It is one of Paris’s larger arrondissements and there is a wealth of affordable accommodation in this area, not to mention good transport links to the rest of the city. The 13th arrondissemt is home to Paris’s Chinese, Vietnamese, Cambodian and Laotian communities. This quartier has a distinctly different feel to the rest of the city, with 1960s tower blocks and wide boulevards. 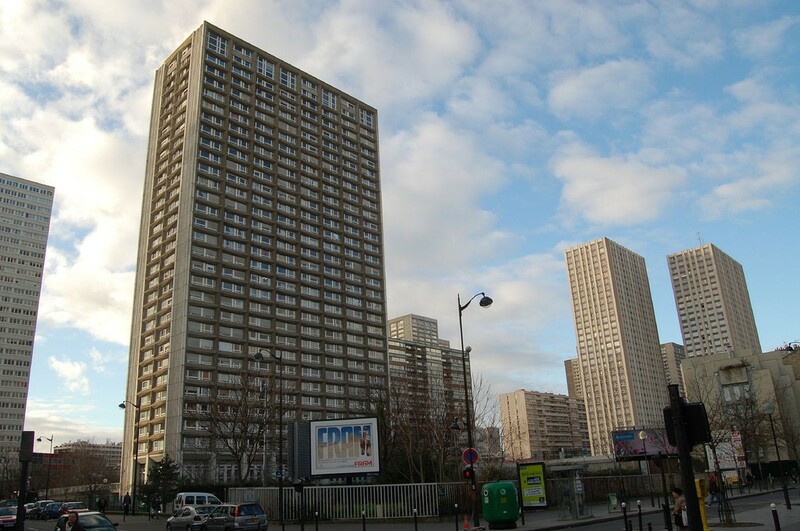 The triangular hub of the area is found where Avenue d’Ivry, Avenue de Choisy and Boulevard Masséna meet. Eastern groceries, Pho noodle bars and Chinese patisseries line these streets and the smell of exotic spices fill the streets. The Buttes aux Cailles, a small stretch of independent bars and restaurants is worth seeking, as is the small Buddhist temple that hidden in a car park under one of the tall towers on Avenue d’Ivry. The best time to visit is during Chinese New Year, when dragon dances and martial arts demonstrations add to the raucous festivities. Despite once being home to the eclectic Montparnasse district, where Paris’s literary and arts scene thrived in the flourishing 1920s, the 14th arrondissement is now viewed as one of Paris’s sleepier neighbourhoods. However, there are two key landmarks that are still very much worth finding – The Montparnasse Cemetery, where many of France’s most famous citizens are buried, and the catacombs, which can be accessed at Denfert-Rochereau square. Despite being the largest, both in size and population, of Paris’s twenty arrondissements; to the tourist this area holds few charms. Located in the southwest of the city, on the Left Bank of the Seine, it is a densely residential and commercial area. Le parc André Citroën is probably the area’s most defining feature and is considered one of most innovative and interesting of Paris’s modern parks. Despite the exclusivity of the 7th arrondissement, the 16th arrondissment – in particular the Passy neighbourhood – is considered by many to be home to Paris’s most wealthy residents. Rue de Passy, which runs from Place de Costa Rica to La Muette, is filled with high-end fashion boutiques and elegant chain stores. You often hear American accents in these stores due to the area being a popular relocation spot for North American business men and their families. The Palais de Tokyo offers many free exhibitions for those interested in modern art. The Cimetiere de Passy is also worth finding, as is the house of Honore de Balzac, the famous French writer, which has now been turned into a museum. Like the ‘SoPi’ area of Paris: the 17th arrondissement is undergoing a renaissance. Attracted by the bars and bistros that have begun to populate the neighbourhood, the influx of ‘Bobos’ (Bourgeois-Bohemians) have added another dimension to the area. Its location, with easy access to the sights of The Champ-Elysees and Parc Monceau, coupled with rents that reflect its low profile, is slowly transforming the Batignolles neighbourhood. Despite being somewhat off the well-trodden tourist path, north of the Arc de Triomphe, a buzz is being created in the north-eastern neighbourhood of Batignolles. The 17th arrondissement is also famed for its fine Haussmannian architecture and, while there are no major sights to see: walking the quiet, quintessentially Parisian streets is just reward for a trip to the area. The 18th arrondissement is home to the much-celebrated Montmartre district. The historic district is best-known for the white-domed Sacre Coeur Basilica that sits imperiously on Montmartre’s summit, offering some of Paris’s most famous views. The tiny, cobbled lanes that lead to the top of the hill are filled with small cafes and bars, which also offer some fantastic viewpoints from their tiny terraces. Other key attractions include the Espace Dali, is a small, intimate museum which showcases the work of the renowned surrealist artist Salvador Dali. There is also a small vineyard, the Cimietiere de Montmartre – where many renowned artists are buried, and the funicular railway, that sidles up Paris’s most famous hill. Montmartre retains much of its historic character and, despite the crowds in Summer, is an area worth exploring to get a true feel of Parisian life. 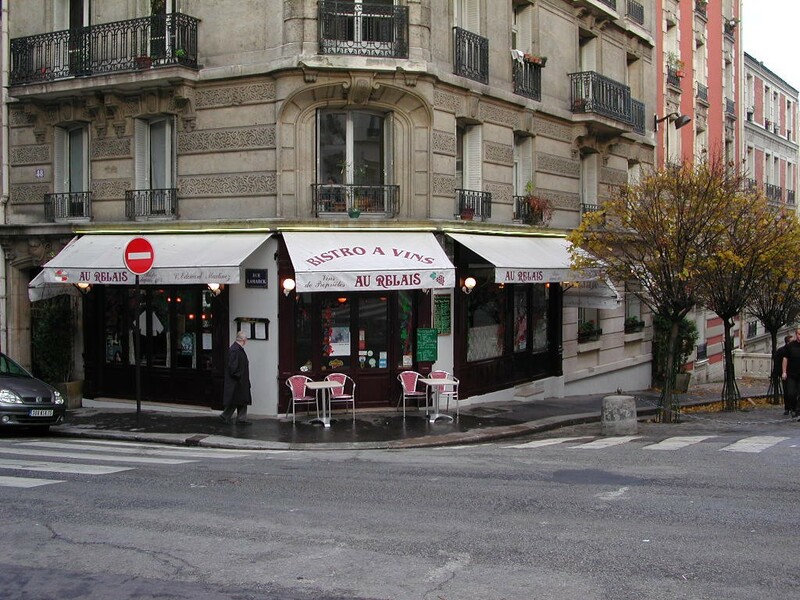 A wonderfully authentic Parisian restaurant tucked the other side of Montmartre hill. Wonderful steaks, confit du canard, great wine, books, records, and a lovely courtyard that feels far removed from the tourist crowds. Parc des Buttes-Chaumont, designed by Napoleon III from the British blueprint, is the standout feature of the 19th arrondissement in the north of Paris. Baron Haussmann, chief designer on the project, used dynamite to create dramatic reliefs and sharply contrasting terrain. The park features a rocky cliff, a romantic waterfall, a small temple – modeled on an ancient Roman relic, a grotto, and over 61 acres of lawns and flowerbeds. The streets leading to the park are also worth exploring, providing a glimpse of an older, quainter Paris. The 20th arrondissement is largely residential, but does contain the key attraction of Cimitiere du Pere-Lachaise. This is reputed to be the most visited cemetery in the world and is the burial site of many accomplished Parisian writers, artists and politicians, as well as Oscar Wilde and Jim Morrison.